No fewer than 20 people have been killed in a fresh attack by suspected fulani herdsmen in Anguwan Aku village, Kajuru Local government area of Kaduna state. Several others were said to have sustained injuries from gunshots. The incident, according to a resident of the community, took place at about 7:00am on Monday. He said the attackers were dressed in military uniform and were armed with AK47 rifles, machetes and sticks and were communicating with each other in fulani language. According to him, the invaders started shooting sporadically upon arrival in the village. “They were shooting indiscriminately and everybody started running to the bush. They were pursuing us as we ran to the bush, some people were killed in the bush. ”Some of them were wearing military uniforms with bulletproof vests and they were communicating in fulani language. I saw them from where I was hiding,” he said. He further alleged that the police arrived the village in eight Hilux vans, but could not go into the bushes to pursue the bandits. “The police came in eight Hilux vehicles, but instead of pursuing the bandits who ran to the bushes, they just turned back,” he alleged. According to him, there had been speculations about an impending attacks since last week, which the state government was aware of. “We had thought that the government would have taken the speculations seriously and be proactive, but they didn’t take it seriously and this had led to the killing of more of our people. It is rather very unfortunate,” he said. A former president of the Adara Development Association (ADA), Danladi Yarima, confirmed the killings in a telephone interview, describing it as unfortunate. He condemned the killings and accused Governor Nasir el-Rufai of alleged bias in handling the crisis. The incessant killings in Kajuru communities stated on February 10, 2019 when fulani herdsmen allegedly attacked Anguwan Barde, an Adara community, in the night and killed eleven people. The Adara were alleged to have embarked on reprisals, killing many fulani . Governor el-Rufai had announced that 66 fulanis were killed. He later said 131 fulani were killed. Since then, there had been incessant attacks on communities leading to the loss of many lives while several others injured. Yarima, a lawyer, had in a recent statement said about 4,000 people har been rendered homeless following the destruction of their homes by bandits. Efforts to get the reaction of Yakubu Sabo, spokesman of the Kaduna state police command, was unsuccessful as his telephone could not be reached and he did not reply to a message sent to him on the Police/Media WhatsApp platform. Meanwhile, residents of Birnin-Gwari in Birnin-Gwari local Government of Kaduna State on Monday protested the persistent killings of their people by bandits. The protest led by the Coalition of Birnin-Gwari Association coincided with the visit of the State Governor, Mallam Nasir El-Rufai, and the Inspector-General of Police, Mohammed Adamu, to Birnin-Gwari. While the governor was at Katangi, where the bandits attacked on Saturday, the police boss stopped at Birnin-Gwari where he addressed stakeholders. The protesters laid siege to the Emir’s palace at about 3:00pm and demanded for the deployment of more troops to the town which had over the years been ravaged by the activities of kidnappers and armed robbers. Saying that enough is enough, the protesters noted with dismay and great shock, the continued attack on innocent residents by bandits at Birnin-Gwari. He also called on the National Emergency Agency and the State Emergency Agency (SEMA)to assist in rebuilding of homes destroyed during the various attacks on communities so as to enable internally displaced persons to return to their homes. However, el-Rufai condemned the attack on Kakangi community on Sunday. The govenor, who was accompanied on the visit by some top government officials and security chiefs, described the attack as inhuman and ungodly. He assured residents of government’s commitment to restoring peace and security to the area as well as other troubled parts of the state. The governor also visited the injured in the hospital and commiserated with them over the incident. 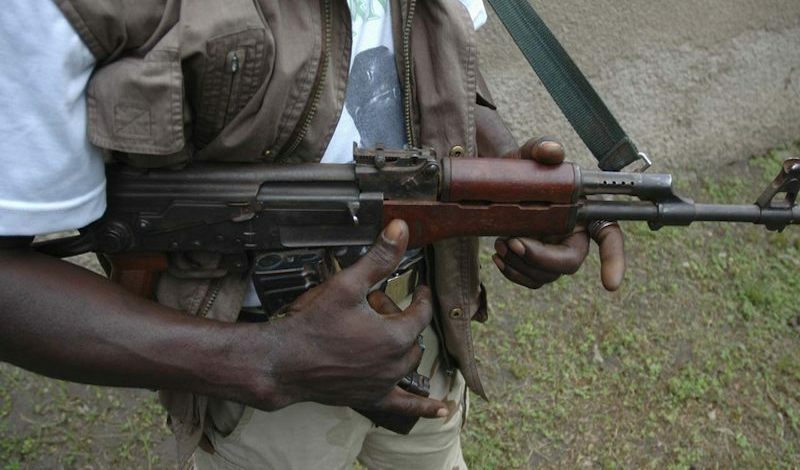 Five people, including two policemen were killed on Saturday by bandits in an attack on the community.